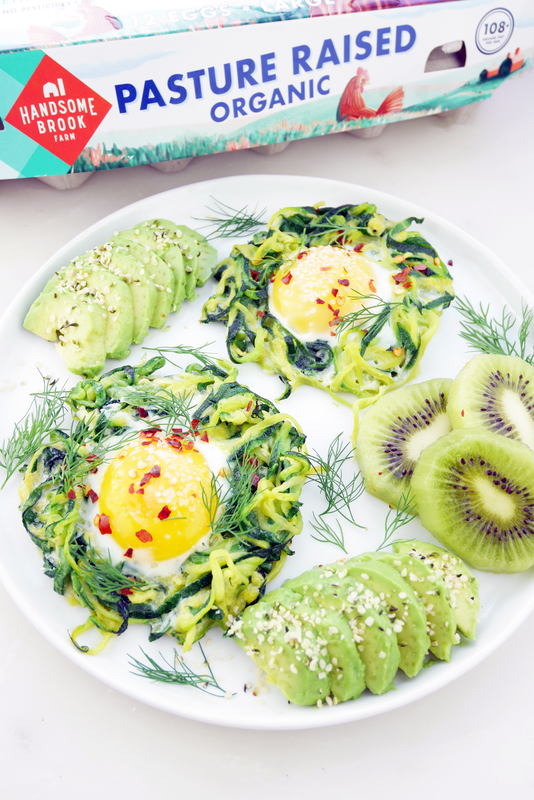 Meet the low-carb, nutrient-dense breakfast of my dreams: pasture-raised egg zoodle nest! For this recipe, I used Handsome Brook Farm pasture-raised organic eggs which come from organic-fed, pasture raised hens. 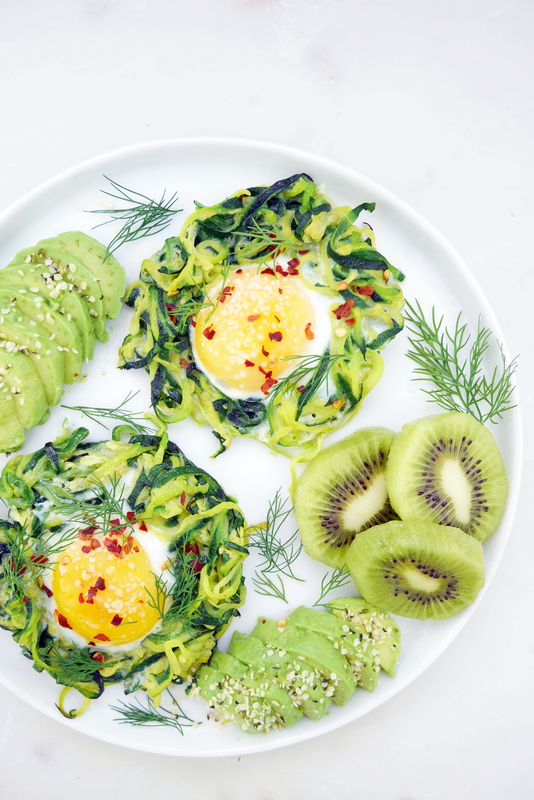 Their eggs have the most vibrant golden-orange yolk (hello, nutrient-density!). It can be confusing understanding the different types of egg labeling but certified pasture raised eggs are the gold standard. This means that the hens are raised on grassy pastures to roam free, forage and get plenty of sunshine and fresh air. They are also nutritionally superior to other eggs. Additionally, not all pasture-raised eggs are organic as well but Handsome Brook Farms Eggs are! 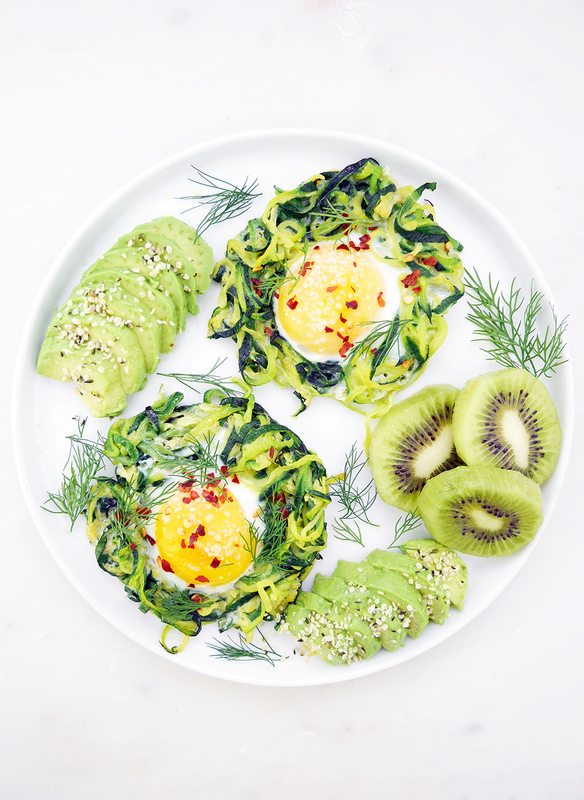 Eggs are a great source of protein and vitamins and minerals that are hard to get from other foods like choline and vitamin A. The Handsome Brook Farms eggs also have two times the amount of omega-3 fats as conventionally raised eggs and more vitamin A and E. I also recommend pasture-raised eggs regularly to my lacto-ovo vegetarian clients (those who eat eggs and dairy) because it is one of the highest quality protein sources and a nutrient-dense addition to a balanced vegetarian diet. Tune into Good Food Friday this week on ABC Charleston for more foods for National Vegetarian Month! Line a baking sheet and spray with nonstick cooking oil spray. 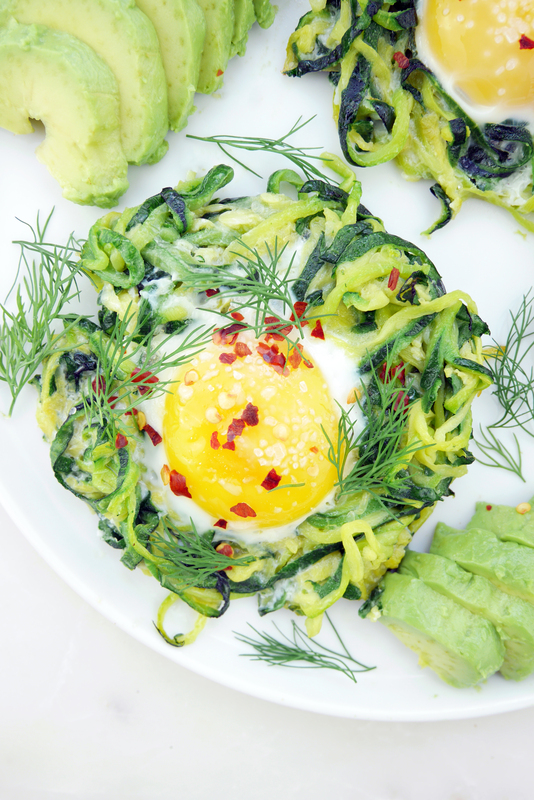 In a large bowl, toss together zucchini noodles, oil, salt, pepper and dill. Divide into three equal portions and shape into a nest on the baking sheet. 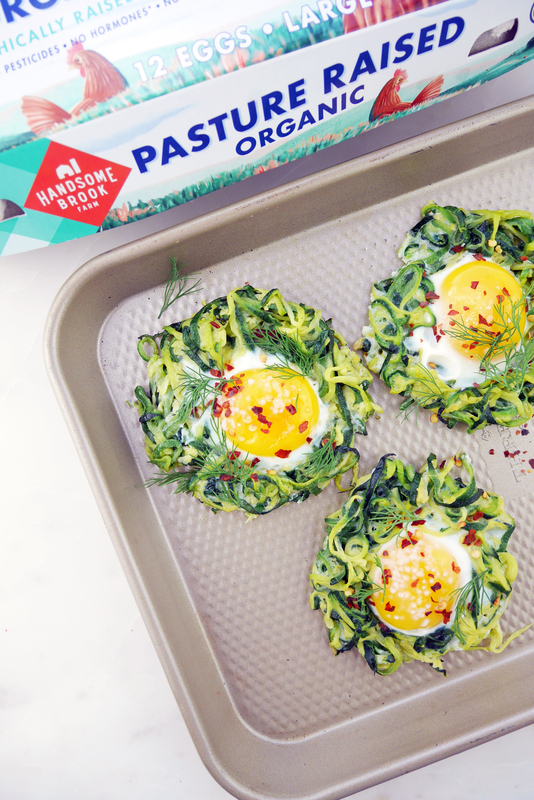 Crack one Handsome Brook Farm pasture-raised organic egg into the center of each nest. Bake for 10 minutes or until egg has set. Sponsored by Handsome Brook Farm.